The Lonely Planet guide to Egypt states that the High Dam at Aswan contains eighteen times the amount of material as the Pyramids of Giza. On top of the High Dam, an information panel states that only seventeen times that of the Pyramids were used. This is the only time I have ever seen an Egyptian description of something in Egypt underestimate an international estimate. 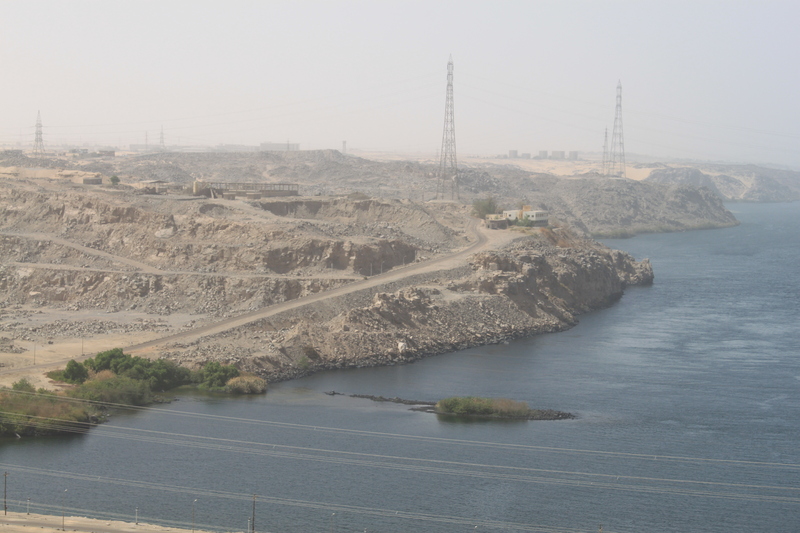 That sense of comparison is only reinforced by the fact that a typical day of tourism around Aswan involves a trip to several ancient temples and the High Dam. In truth, there is little to say about the experience of visiting the Dam other than the immediate sense of awe that accompanies the ride up. On the way, you pass sand dunes covered in martian sheets of black volcanic rock, crisscrossed by power lines bunched together before disappearing into uncountable points on the horizon. Barb-wire plots surround the base of each tower, edging up against blocky concrete apartments for dam workers. As the air cools, a few shrubs creep out of the ground. Before you see the Dam itself, you see the top of lotus flower petals that sprout backwards, from the top down, lead down to the bottom of the Soviet-Arab Friendship Monument. 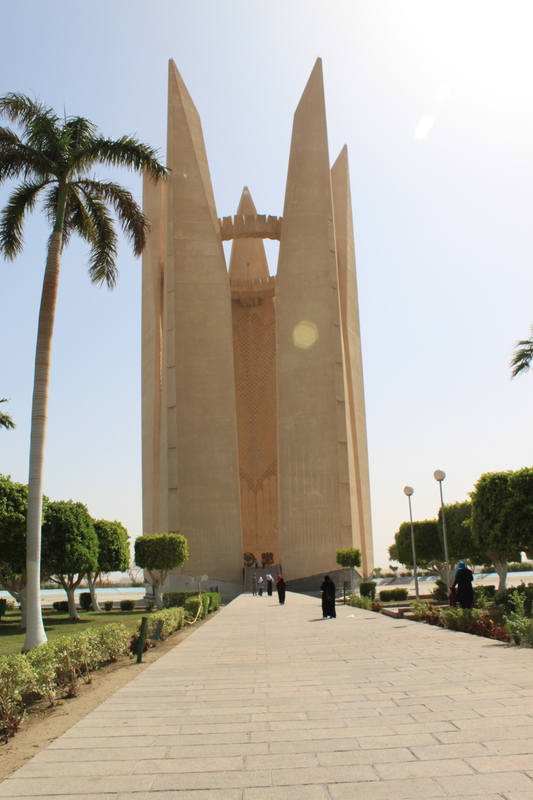 The stone edifice is one of several Nasser-era architectural middle fingers to the U.S. (The Cairo tower, built with funds earmarked by Eisenhower for Nasser to use secretly and which Nasser found insulting, is another). You’ll need a driver, and you can expect to pay him about 200LE. Any taxi driver in town will be happy to do it.